The politician called for a new approach in how the country deals with the gay community. Malaysia's deputy minister of the Prime Minister's department has said that rejecting the country's gay community would push them "further away from Islam," Free Malaysia Today reported. 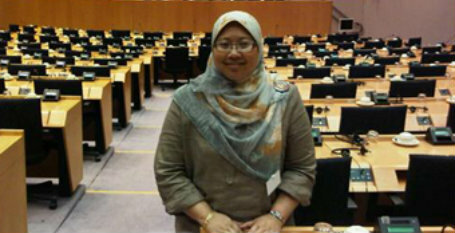 Fuziah Salleh addressed the issue during a Q and A session at the International Malaysia Law Conference on the rule of law. "If we alienate the group, which has been done before, how are they supposed to live in dignity? We do not accept them at the workplace and shun them in public places, and sometimes look upon them as if they are dirt," she said. "So, the way we approach them should be different to ensure it does not drive them further away from Islam." Salleh did add that "what is haram is haram" and that there could not be compromise on such distinctions, referring to things that are forbidden according to Islam. .."further away from Islam"? The whole country should get away from religion altogether.